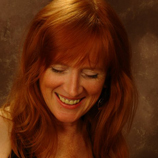 A self described second generation music brat, Glenna blends the classical and jazz influences of her early years with her own unique artistic expression derived from her love of folk music. The product is a collection of original tunes with meaty chords, intricate melodies and poignant lyrics. Her honesty will make you cry one minute and laugh the next as you are allowed a glimpse into who Glenna Green is. Add to that a collection of covers including Rodgers and Har, Fats Waller, Duke Ellington, Cole Porter and Gershwin. Fast forward in time to Carole King, the Kinks, Burt Bacharach, Bonnie Raitt and Tom Waits and you've got a yummy mix of ear candy. This CD is a treat for anyone who has ever loved and lost, who remembers what it was like to be a child without a voice or who just wants to go back in time and enjoy the sway of an old standard. Ironic, sad, fun and purely entertaining, it leaves the listener wanting more. Glenna's vocal styling has been compared to Nora Jones and Blossom Dearie. There is a skillfulness to her phrasing, as well as wit and intelligence in her original songs. Though Glenna claims that noodling guitar solos are not her "thing", her chording is solid. She stubbornly pursues the "best" chord and won't settle for "close enough". If it's a 13th with a flat 9, it's a 13th with a flat 9. A simple 7th won't do. Never under-estimate the stubborness of a red-head. There is a mix of comedy, romance and tragedy in the cover songs she chooses and memorable melodies to the original tunes you'll find yourself singing along in no time.